Regular Train – Coupons are put in and the envelope is sent from person to person with people taking from the envelope and adding back coupons. Say you find baby coupons but do not have children, you could take beauty or food coupons and add the baby coupons for a member who wants those etc. VWT Train – A Virtual Wishlist Train – each member provides a wishlist of coupons they want. You send a certain amount of coupons (or $ amount of coupons) for each person to the conductor and they send you back all the coupons sent for you. Buddy (Secret Sender) Train – The conductor will pair you with a mystery buddy. You are given their wishlist and someone else receives yours. They send you an envelope of coupons directly. Gift exchanges - are not allowed without permission from the Package Train Moderator (see this thread for current package trains and information). They are usually run for holiday seasons and include actual items. There are additional requirements for riding and running these trains which the moderator can explain to you. Please make your own train outline and do not copy those from other trains. Please check the trade ratings of members before agreeing to have those members on your train. If a train gets 'lost' in between stops with active riders please leave neutral for both sender/receiver explaining this. If you are sure your train was stolen leave negative. If the train moved on and arrived at the next stop leave positive. If there is a boarding pass, you may wait until the train arrives home to rate. Passengers please leave a trade rating for your conductor! Do not rate them on how you 'liked' the coupons but on how it was run, and that they sent it out, its a great thing to run a train and it takes time to do so, please give them the appreciation they deserve. For regular trains, each member should rate the conductor and the conductor rates each of the riders. The riders do not rate each other. For VWT trains, all members are rated however, it is the conductor's responsibility to ensure rules including appropriate coupons sent - please bare that in mind when leaving ratings. If a person does not send coupons, please leave a neutral. Although the riders get their coupons back, it is lost time/energy when they could have traded those with another member and a space on the train someone else could have used. You should rate ONLY the conductor and MAYBE (this is currently being discussed with Boo) the person sending the cars ONCE. Too many traders are padding their scores with multiple ratings from these. NO RATINGS SHOULD BE LEFT FOR A PERSON NOT ON YOUR CAR - if you were not involved with a trade with them, do not rate them! As some you are aware, we recently changed package train rules to allow for things like stickers, scrapbooking embellishments and seeds etc to be sent on regular trains without users having to set strict rules as on package trains. Sadly this rule has been abused on several trains. For a short time we are posting these guidelines and they must be included in any thread where items (not just coupons) are being sent. Any further abuse of this rule will result in it being removed and coupons only may be sent. 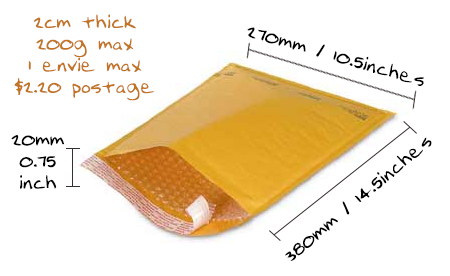 This is not a package train, all items sent must fit in a regular sized envelope that is no thicker than 2cm and weighs no more than 200g (3-4 stamps max). Only one envelope can be sent (and to one member). NO train may cost more than 4 stamps to send. Last edited by FallenPixels; Wed, Nov 13th, 2013 at 09:59 AM. Jezebel, cherielake, K8's Fate and 4 others like this. Anna Michele and Tierra Lemieux like this. Thanks for saying what VWT stands for. I never knew what the acronym stood for. FT: TONS of $1 Unilever Icecream,including BREYERS! EXP: AUG 31ST!